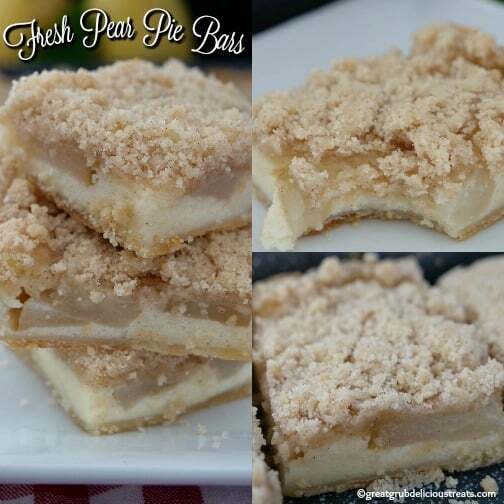 Fresh Pear Pie Bars are super delish and are a perfect dessert for the pear lovers out there. 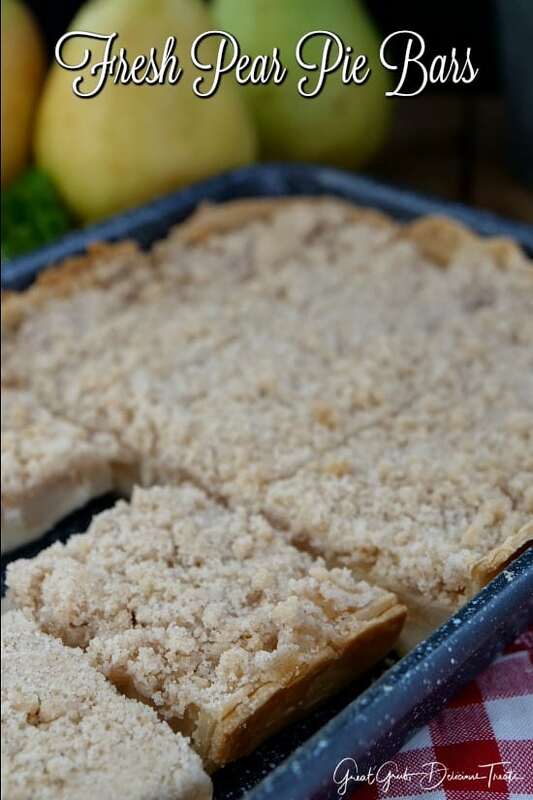 These pear pie bars are delicious, made with juicy Bartlett pears and have a creamy, custard like filling, then are topped with a crunchy, streusel topping. If you love pears, this is an easy pear recipe the whole family will flip over. Sinking your teeth into one of these delicious bars will have you wanting more. They’re scrumptious! 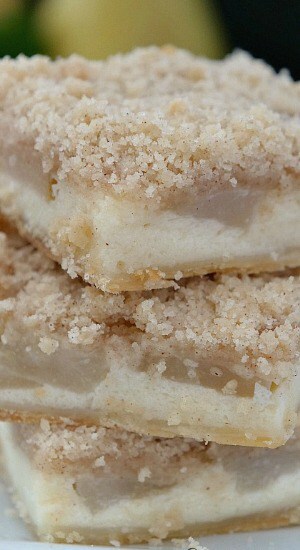 Once the pear pie bars have finished baking, let them cool a bit and then place in the fridge to chill completely. Serving the bars cold gives the best results. 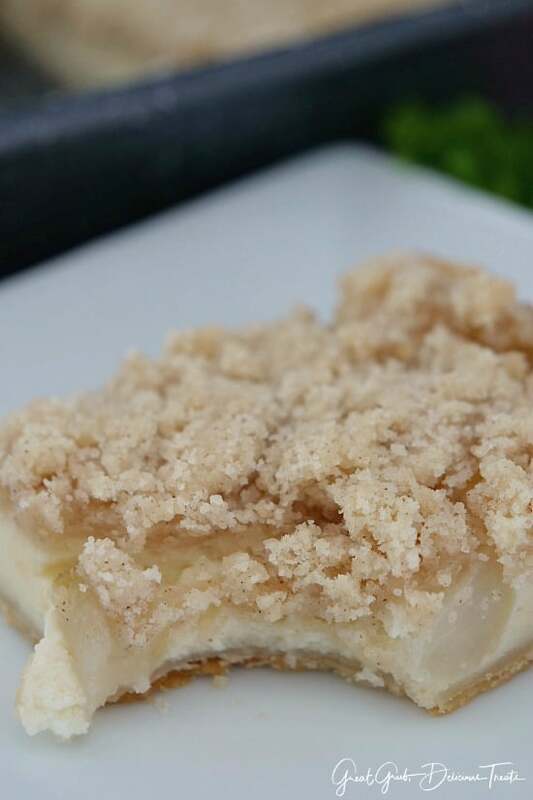 Each pear pie bar has a custard like filling, delicious pears on top, and that delicious streusel topping everyone loves so much. 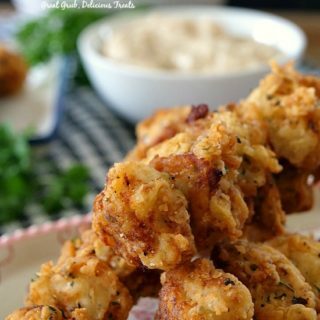 This easy pear recipe definitely will become a family favorite and will get requested over and over during pear season. 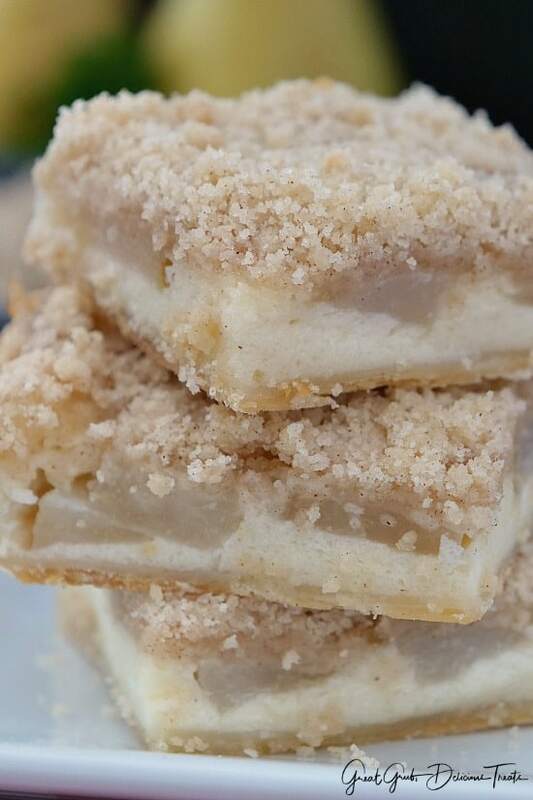 These fresh pear pie bars have sour cream in the ingredients and you would never know it. 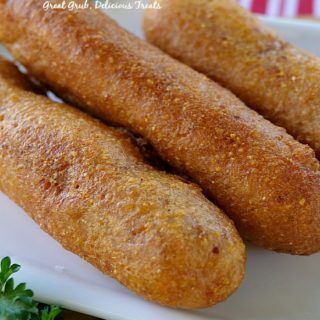 What the sour cream does is help give the delicious creaminess to these bars and enhance the richness and flavor of the recipe. 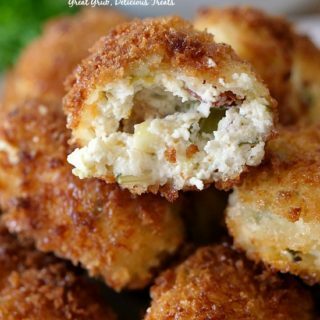 Super yummy, and a delicious treat, which can be made with canned pears when pear season have come and gone. Anytime of the year these would be perfect. 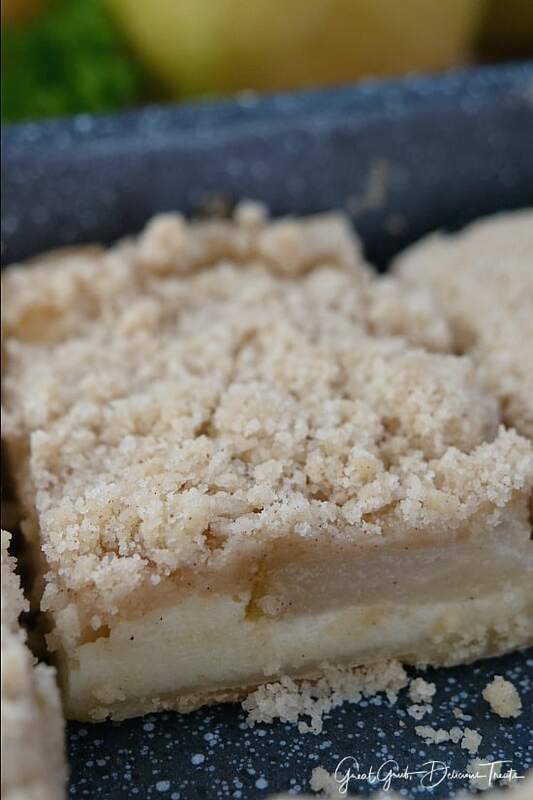 My sister, Linda, gave me her pear pie recipe (which is to die for by the way), and with this recipe, I just made bars instead of a pie. 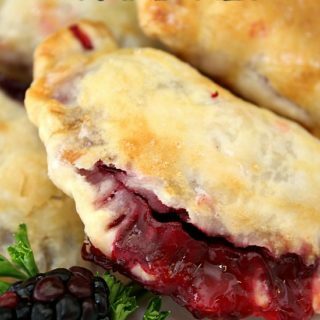 Either recipe, whether you are in the mood for pie or in the mood for bars, tastes fabulous. 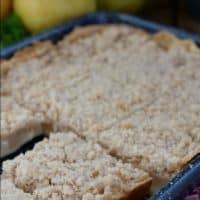 Here are a few more delicious dessert recipes you can find on the blog: Apple Pear Walnut Crisp, Pear Walnut Crisp, Fresh Pear Pie, Pear Pecan Cobbler, plus many more! 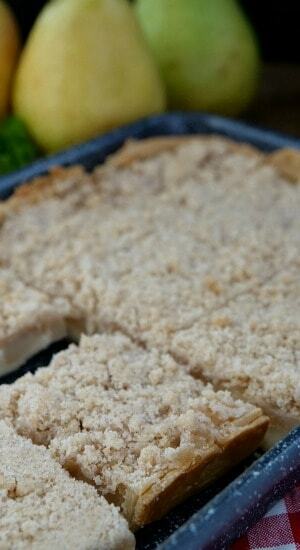 Preheat oven to 350° and place pie crust onto small baking pan 8 x 8 or 7 x 11. 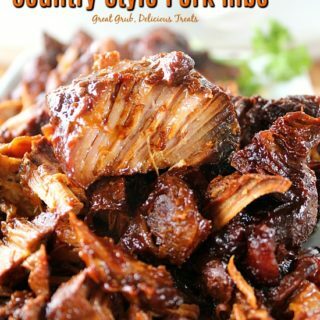 Poke bottom 4 or 5 times with a fork. 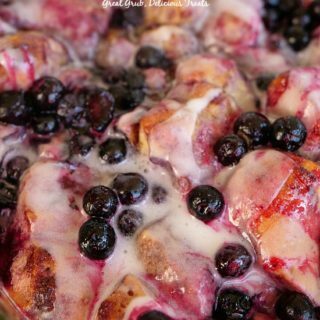 In a medium mixing bowl, mix all ingredients except pears. Sprinkle evenly on top of pears and bake for 30-40 minutes or until set. Recipe adapted from my Fresh Pear Pie recipe I received from my sister, Linda.